Get a life! Matt Damon finds himself in The Bourne Identity. Because motion pictures require a good deal of time to plan, finance, produce, edit, publicize, and release, The Bourne Identity, a typical espionage thriller dealing with violent international intrigue, lags far behind current events and contemporary awareness. Although calling the picture “a 21st century spy film,” the folks who put the whole complicated, expensive project together could not possibly have known just how irrelevant and obsolete their movie would seem in this time and place. If, for example, a generally horrible flick like The Sum of All Fears accidentally foreshadows the present administration’s dream of a nuclear catastrophe, The Bourne Identity resembles many movies of what now seems a distant past, describing a familiar situation no longer so likely after the transforming events of September 11, 2001. Based on the Robert Ludlum novel (previously made as a television film), The Bourne Identity presents a vision of the attitudes and behaviors of the Central Intelligence Agency that, no matter how true, no longer applies in the same way. Although the CIA boasts a long, shabby history of malice and incompetence, nowadays public utterances from the Bush administration proclaim the agency as both the savior of the bumbling FBI --- those guys couldn’t find their posterior if their hands were in their back pockets --- but also, God help us, as something like the first line of defense against terrorism. The Bourne Identity, however, presents a CIA reminiscent of dozens of novels and films, an agency staffed by rogue operatives and murderous schemers ready to betray and kill out of some crazed vision of American foreign policy. As its title implies, and in keeping with the traditions of its form, the movie confronts the problem of identity as a sort of modern mystery. An Italian fishing boat encounters the central character, Jason Bourne (Matt Damon), floating in the Mediterranean, nearly drowned, with a couple of bullets in him. In addition, a small metal cylinder that shows the number of a Swiss bank account is embedded beneath his skin. That number provides the only clue to the identity of the wounded man, who suffers from the familiar Hollywood amnesia, having no idea who he is, where he comes from, or how he wound up in the drink. The situation allows the filmmakers to present a nearly perfect, if predictably violent and melodramatic, exercise in something like pure existentialism. 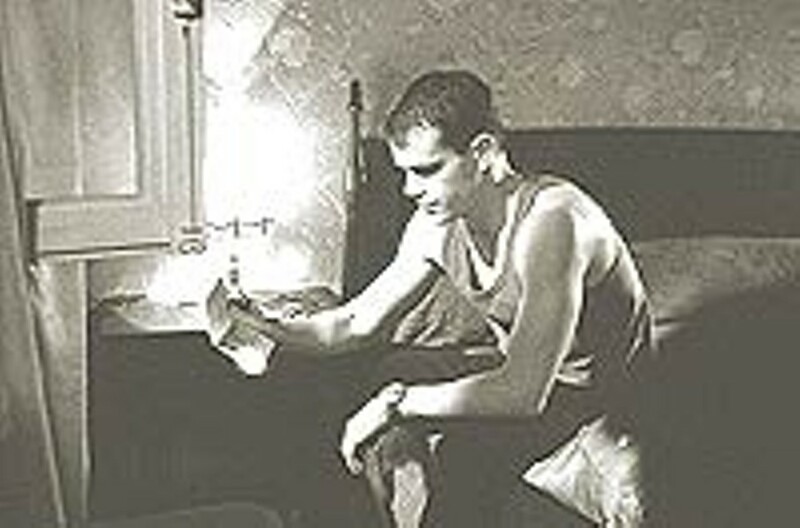 With no memory of the past, no name, no background, no context, in the gradual process of recovering his history, Bourne must in effect continually invent himself, creating his own new identity under the most dangerous circumstances, finding himself competent in the face of attacks from a variety of enemies. He discovers that he speaks several languages fluently, fights ferociously with several opponents, and --- since his Swiss safe deposit box contains a gun and six different passports along with a bundle of money --- that he must be involved in something highly dangerous and highly illegal. Bourne ultimately learns, mostly through a series of violent encounters and narrow escapes, that he has served as an assassin for the CIA until his scruples apparently overcame his training and conditioning. The script hints at some sort of mechanical device that programs his actions and apparently kicks in when he needs to apply his expertise at unarmed combat, breaking and entering, climbing up buildings, or outracing police vehicles in a minicar; his violation of his programming led to his wounding and his amnesia. When Bourne finds out who he really is, he is not entirely happy with the solution to his mystery; the realization of his old self motivates his need to create the new one. It seems doubtful that another Hollywood picture will present the CIA quite so negatively as The Bourne Identity. In this movie the agents operate with the ferocity, barbarism, and utter lawlessness of international gangsters: assassinating political leaders, murdering anyone who obstructs them, and betraying each other in a manner that would shame a Mafioso. In a time when government leaders openly prepare the public to regard such activities as desirable and admirable, the spy thriller will probably avoid the usual practice of making the CIA the villains, thus reversing a decades-old trend in fictional and cinematic espionage. The director, Doug Liman, allows the movie’s central mystery to unfold in an exciting, entertaining manner, interrupting sequences of fierce action with interludes of dialogue too brief to slow down the pace. The blandness and passivity of Matt Damon may suit a man without an identity, but otherwise create very little intrinsic appeal; in a stroke of, well, intelligence, the producers cast the colossally uninteresting Franka Potente opposite him, thus endowing Damon by contrast with considerably more presence than he actually possesses. The Bourne Identity, however, succeeds through its excellent and authentic location shooting, its quick cutting, its pervasive sense of urgency, and its constant motion toward a mysterious goal: a useful formula for the sort of spy thriller that, even as I write, may now be obsolete. The Bourne Identity, starring Matt Damon, Franka Potente, Chris Cooper, Clive Owen, Brian Cox, Adewale Akinnuoye-Agbaje, Gabriel Mann, Walter Goggins, Josh Hamilton, Julia Stiles, Orso Maria-Guerrini, Tim Dutton, Dennis Braccini, David Selburg, Russel Levy, Anthony Greene, Phillipe Durand; based on the novel by Robert Ludlum; screenplay by Tony Gilroy and William Blake Herron; directed by Doug Liman. Cinemark Tinseltown; Hoyts Greece Ridge; Loews Webster; Pittsford Plaza Cinema; Regal Eastview; Regal Henrietta. You can hear George and his movie reviews on WXXI-FM 91.5, Fridays at 7:15 a.m., rerun on Saturdays at 11:15 a.m.